Me and his bimmer. 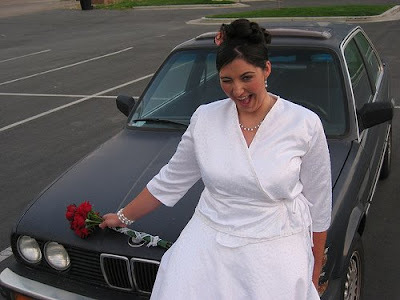 Unfortunately, the bimmer started blowing out blue smoke shortly after our wedding, and we had to buy another car (the era of the Blackura). Apparently he couldn’t handle both of us.